This expedition starts with a very scenic drive from Wanaka over Haast Pass to the West coast and to Fox Glacier village. From there, we fly by helicopter up to Pioneer hut, the comfortable hut base for the climb. 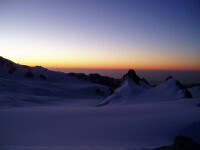 Some training and ‘warm up’ peaks may be a suitable thing to do, depending on your experience, conditions or the weather. 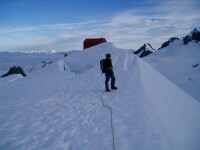 The climb itself involves glacier travel across the Albert Glacier’s upper neve, and then moderate angle cramponing up snow slopes to gain the upper reaches of the glacier and access across the bergshrund to gain Marcel col. 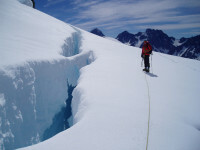 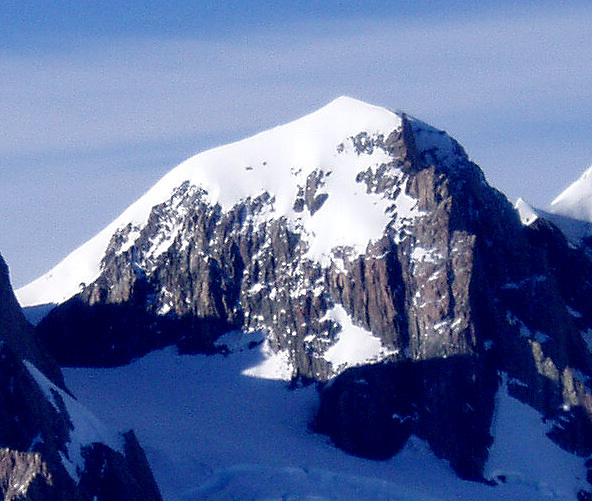 This mountaineering objective of climbing Mt Lendenfeld is a classic West coast adventure, involving working in and around West coast weather, timing access and egress and experiencing the wilderness and uniqueness that mountaineering on the West coast of NZ’s Southern Alps can provide. My 30 years of experience in this region is an asset you can tap into to make a trip into this wilderness zone as successful as possible. 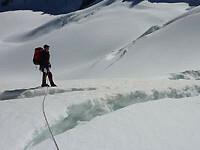 If you are looking for a classic snow and ice peak with big wilderness feel but not too taxing physically or mentally, then this could be your next – or first – mountaineering objective. 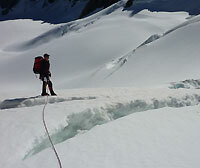 This could be an ideal trip to combine mountaineering instruction as well as a start to ‘peak bagging’. 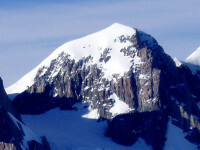 This trip is 6 – 7 days long.